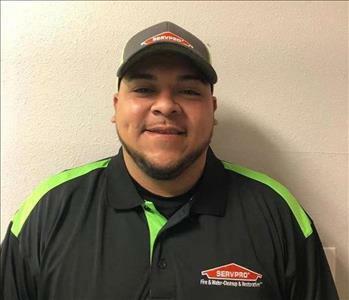 Cole started his career with SERVPRO of Guadalupe & Gonzales Counties October of 2012. Cole holds the following industry certifications and training: IICRC certified in Water Damage Restoration; Applied Structural Drying Certification; SERVPRO DryBook Certification; SERVPRO Employee Certification Training Program; EPA Lead-Safe Certified; Texas Department of State Health Services Mold Remediation Worker Certified; Subrogation Certified; IICRC Certification in Fire and Smoke Restoration. Randy is a Crew Chief who started with SERVPRO of Guadalupe & Gonzales Counties March of 2017. Randy holds the following industry certifications and training: IICRC certified in Water Damage Restoration; SERVPRO DryBook Certification; SERVPRO Employee Certification Training Program. 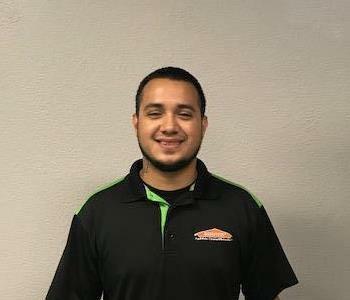 Danny is a Crew Chief who started with SERVPRO of Guadalupe & Gonzales Counties March of 2018. 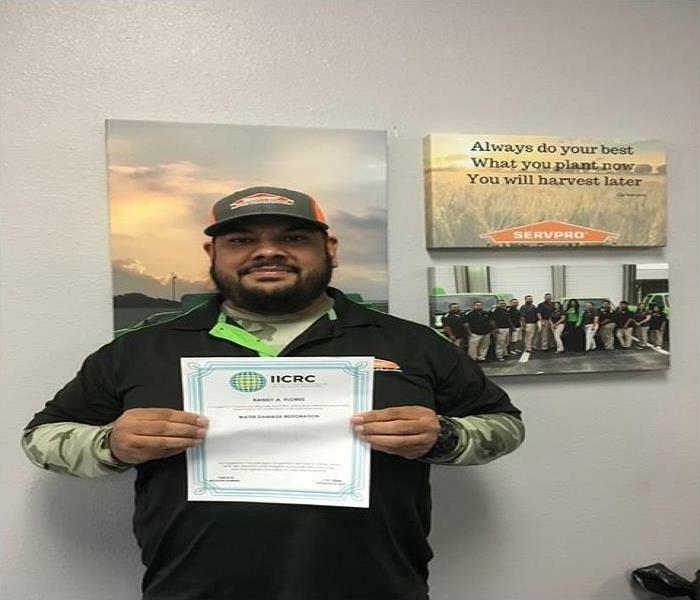 Danny holds the following industry certifications and training: IICRC certified in Water Damage Restoration; SERVPRO DryBook Certification; SERVPRO Employee Certification Training Program. Mary is a Production Technician who started with SERVPRO of Guadalupe & Gonzales Counties March of 2013. Mary also had several years’ experience in the industry prior to joining our franchise. Mary specializes in pack-outs, detailed cleaning, and fire restoration cleaning. 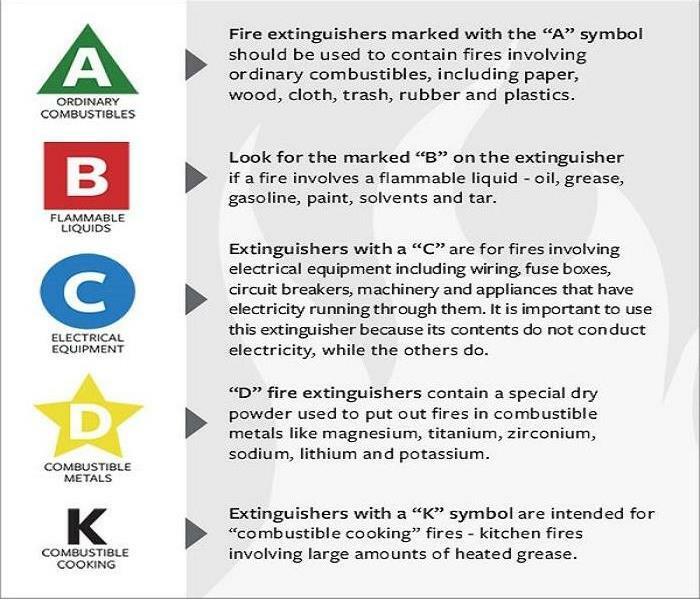 Mary holds the following industry certifications and training: SERVPRO Employee & Crew Training; SERVPRO Fire Restoration Training. Perla is a Production Technician who started with SERVPRO of Guadalupe & Gonzales Counties March of 2014. Perla specializes in fire cleaning and content pack-outs. 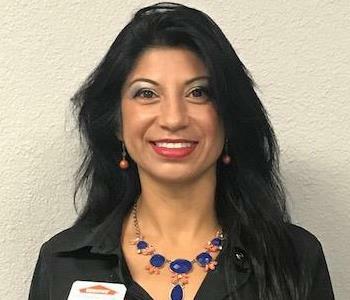 Silia is a Production Technician who started with SERVPRO of Guadalupe & Gonzales Counties September of 2017. Silia also had prior experience in the industry before to joining our franchise. She specializes in detailed content cleaning, content pack-out and fire cleaning. Whitney has a long career history with SERVPRO beginning in 2006. Whitney joined our franchise in May of 2010. Whitney earned her Bachelor of Business Administration with a concentration in Management from Texas State University in May of 2014 and also holds the following industry certifications and training: IICRC certified in Water Damage Restoration; SERVPRO DryBook Certification; SERVPRO Employee Certification Training Program. If you have ever been to our office, you have seen the sign on our entry door that reads " Please keep the door closed. Lucy can’t survive the wild outdoors." This sign is a conversation piece for everyone that comes into our office as their first question is - Who or What is Lucy Lucille (or Lucy) is our office cat. She came to us in September of 2015 from a water job we were working on in a rural area. The customer had pulled out and rolled up some carpet and left it on the front lawn for us to dispose of. Unknown to our crew, Lucy was hiding inside of it. They put the carpet along with other debris in our van and headed back to the shop. When we were unloading the carpet one tech mentioned he saw something run out of it but since no one was positive we left it at that. The following day another tech asked when we got a shop cat.... we didn't have one. As you can guess that's when Lucy was found. Little did we know at the time that this would be her forever home. Now she wasn't the cutest when she arrived. She was small and the first thing we noticed was that she had no ears. Our office manager Whitney took her to the vet and got her checked out and found out that she was born without her full ears but could still hear. Other than that, she was great! Now she runs our office. You can always find Lucy in our office unless Whitney is out for the day, which is not likely. 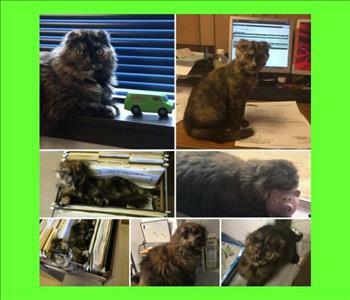 Lucy likes to do her daily filing, keep up with her paper work, and has her one on one time with each person in the office. She also has her favorite napping locations like on top of our 3/4 height walls, window sills, or right in front of a person trying to type. Ines is our Sales Marketing Representative. She joined our team August of 2018. She previously was with the New Braunfels Food Bank as a "Works Coordinator" and previous to that she worked at Depelchin Children's Center. She holds a Bachelor of Science from San Jose State University, San Jose, CA. Ines is into fitness and has competed in several body building competitions. Alex Leslie has worked with us since June of 2018 as a Production Technician. Alex attended Iowa State University and University of Houston where is obtained his degree in Sociology. Alex also played college football for both teams.